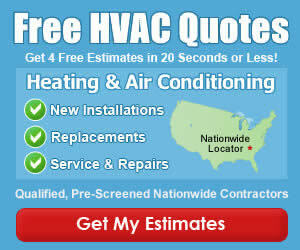 When you install an Amana Gas Furnace in your home, you can be sure that it is built to last forever. Buying a new gas furnace is a huge expense, so most of us expect that when we purchase one, it will come with impeccable quality and workmanship, and an Amana brand gas furnace is known for offering one of the best warranty programs throughout the Heating and Cooling industry! Offering variable and multi speed products, an Amana gas furnaces are sure to provide top shelf comfort for your indoor living spaces. Multi-speed furnaces ensure that your thermostat will slowly ramp up, instead of starting at full speed, thus eliminating ‘cold air-blow’ which is most common with a single-speed furnace. 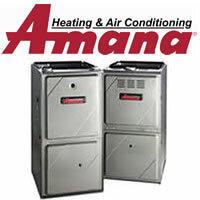 On this page of the Gas Furnace Guide, we will cover Amana Gas Furnaces. We’ll share information about the prices and installation costs submitted by our visitors, as well as showing important information you can find on the Amana website. If you want to share the price you paid for your Amana gas furnace, please go to our price submission page and complete the information on the form. Since our site started collecting price and cost information, we have received the following Amana gas furnace prices from our visitors. If you have an Amana and want to share the price you paid for your Amana gas furnace, please go to the furnace price section and submit it to us. Amana, along with Goodman furnaces, it’s sister company, do not offer any manufacturer rebates, deals or buying incentives on Amana furnaces outside of those commonly available at the federal and state level on EnergyStar products.